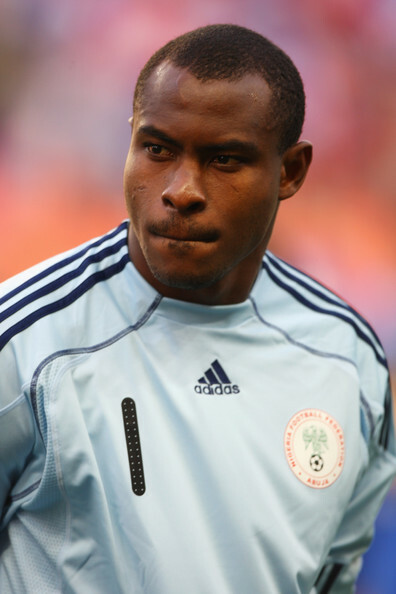 Oliseh’s treatment of Enyeama mirrors his own retirement 13 years ago. Vincent Enyeama is no longer a Super Eagle. After 13 years and a national record 101 caps, he has saved Nigeria for the last time. His international career may already have been winding down, but he was denied a fitting, celebratory finish. Instead, his last act as an Eagle was a shouting match with his coach, which almost degenerated into a fistfight before he left camp for the last time. Sadly, these types of situations no longer surprise us. It is no shock to hear that a great Nigerian player is retiring after falling out with the team leadership, or that a player was “disgraced” in camp and/or kicked out. Or that these things happened to the same player, and that he happened to be our team captain. It has all happened before. What is shocking is that coach Sunday Oliseh, the person who effectively ended Enyeama’s international career, is a previous recipient of the same treatment. Cast your minds back to early 2002. Sunday Oliseh had just captained the Super Eagles to the Bronze Medal at the Africa Cup of Nations. The Nigeria Football Association took this “disappointment”, coming on the heels of a very difficult World Cup qualification, as a pretext to do some housecleaning. Out went coach Amodu Shuaibu. His replacement, Chief Festus Onigbinde, shut Oliseh out of the team before and during the 2002 World Cup. Oliseh retired afterwards. Why was he frozen out? Indiscipline, the officials said. 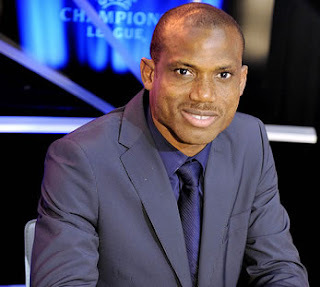 Oliseh, they claimed, was responsible for team discord at the “disastrous” Nations Cup. The crime? Oliseh and teammate Finidi George insisted during the Nations’ Cup that players be reimbursed for their flight tickets. Yes, you read that right. Players representing their country at th African Cup of Nations were made to pay their own airfare because the NFA was not organized. And when they asked for their refunds they were branded disruptive, and chased out of international football by a newly appointed coach doing the NFA’s bidding. Fast forward to 2011. Vincent Enyeama is Nigeria’s first choice goalie, after getting his first start at the 2002 World Cup, months after Oliseh’s exile. The team are scheduled to leave Abuja for a match in Antananarivo, Madagascar. The chartered plane was too small for a direct flight, so they would have to stop over to refuel in Brazzaville. 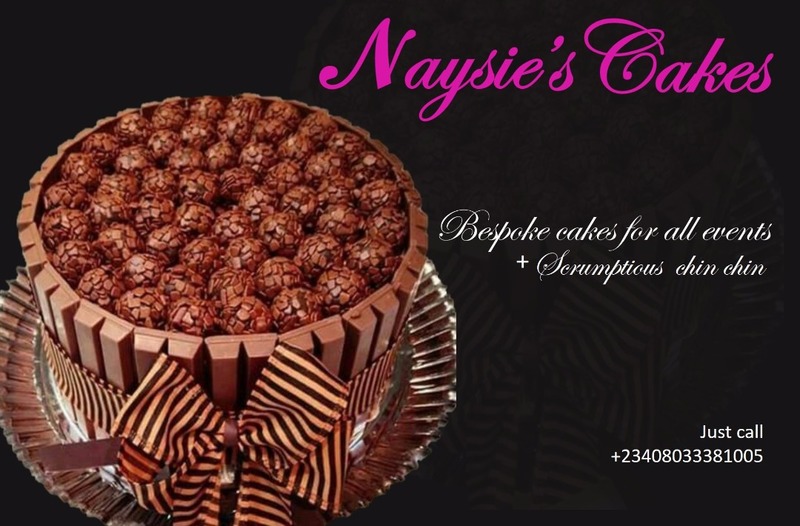 Enyeama objected to this, voicing concerns over “safety, comfort and a better treatment in team’s preparation”. Along with Mikel Obi and Victor Anichebe, he refused to board the team bus to the airport, and ended up delaying the departure from Abuja. Siasia dropped Enyeama from the squad. Eventually, Enyeama apologized , and was let back in the fold, but insiders say the football oligarchs were no longer keen on him. They pressured the next coach, Stephen Keshi, to drop Enyeama, but he resisted. Keshi faced the axe himself this year, and Oliseh replaced him. Now Enyeama is gone. Much like Onigbinde, Oliseh is the new coach whose first job seems to be getting rid of players his employers do not want. That Oliseh had it in for Enyeama from day one appears clear in hindsight. His decision, upon taking the job, to leave Enyeama out of his visits to “senior players” in Europe to discuss his plans was the first sign. Under normal circumstances, it is implausible that a new coach who feels the need to take such a step would bypass the official captain and natural leader of the team. Even if he feels no need to discuss tactics with a goalkeeper, he would surely think it important to have the leader of the dressing room buy into his philosophy to better sell it to the boys. But Oliseh didn’t feel the need, perhaps because he knew Enyeama would not be in the dressing room much longer. Oliseh’s handling of the circumstances surrounding Enyeama’s mother’s death and funeral are incomprehensible unless one accepts that the coach saw an opportunity to bring things to a head. His alleged anger over Enyeama not telling him about the death directly has all the melodrama of a Nollywood movie. Enyeama buried his mother on Saturday. Our next match was scheduled for Thursday, with the deadline for players to be in camp in Belgium Monday. Anyone who has buried a parent in the Niger Delta will tell you Enyeama had no chance of getting out of the village before Sunday evening. Amaju Pinnick, the NFF President attended the funeral, and the caps leader got his permission to report to camp a day late. As far as I am concerned, Enyeama’s willingness to return to national duty 3 days after burying his mother is a testament to his commitment. The coach does not share my assessment. And stripped Enyeama of the captaincy upon his return. It is unclear whether Oliseh was informed of Pinnick’s decision, but from a humane perspective, it is also irrelevant. Any coach, leader, ex-player, anyone with a pulse and a (living or dead) mother should have let it slide. Anyone but Oliseh, apparently, who had been on the receiving end 13 years prior. That’s the most troubling part of this whole episode: Oliseh giving Enyeama the cold shoulder on his European tour, just like Onigbinde shunned him in the friendlies; Oliseh calling Enyeama a troublemaker, a title which, like “captain”, he held before. 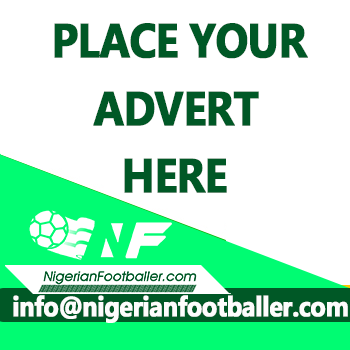 According to gossip, the shouting match that ended Enyeama’s international career started with Oliseh lambasting the entire team at the meeting. He repeatedly told them they had not achieved anything close to what he had as a player. When Enyeama joined the fray, he retorted that he had achieved every senior team accolade Oilseh had and more, since he is the most capped Nigerian of all time. He could have added that they had both attempted to stage boycotts due to unacceptable conditions, and both been railroaded by new coaches who chose to inherit beefs that preceded their tenures. Ouch. It takes a precise mix of self-righteousness and long memory to throw someone under the bus like that over 13 year old beef. Clearly the scars have not healed. I wonder if, when Oliseh was haranguing his players in camp, the ironic voice in all of our heads wasn’t reminding him of the verbally abusive coaches and NFA officers he had played under. Of course, as a Nigerian, Oliseh is culturally deaf to that voice. Empathy is not rewarded here, especially not in institutions. We are taught to inflict our bad experiences on the next generation. “I went through it, and I survived. So can they.” This line of reasoning is used here every day to justify any type of recursive injustice. Old widows say it when they put new ones through the bereavement ordeals. Senior students in boarding schools say it of the ten-year olds whom they subject to inhumane punishments and chores. We all say it of Youth Corpers in camp. Apprentice politicians are subjected to hardship and humiliation at the hands of their mentors, all in the name of “serving” and “paying dues”. In Nigeria, we do not believe in healing our wounds to feel normal again. We believe in wounding the rest of the World so that not feeling normal becomes the new normal. Oliseh is not prepared for the Super Eagles’ job. Managing Nigerians is tough. Being managed by Nigerians is tougher. Having to do both at once is torture. Nothing in Oliseh’s professional past says he can handle that. We the fans made matters worse by acclaiming him the messiah of Nigerian Football on the basis of some smart punditry on Supersport. We ignored his lack of actual coaching experience, and his long hiatus from the Nigerian scene. Carrying a man who last coached non-top-flight football in a non-top-tier European league to the most demanding coaching job in Africa was wishful thinking at best. And like many high profile “returnees” from the diaspora poached specifically to take top jobs, Oliseh arrived with messiah complex firing on all cylinders. A man who fellow players called “Teacher”, he was ready, like every Nigerian is ready upon getting authority, to show the players who was boss. He refused to give Enyeama the floor repeatedly during his tirade, shouting at him to put his hand down. He told the players that he was forced to leave better alternatives to them in Nigeria because of visa issues. He had become the Typical, Obnoxious Nigerian in Charge. Enyeama may never wear the gloves for Nigeria again, but I hope it is not the end of his participation in Nigerian football. They keep telling us that the game needs more ex-players taking part in the administrative and technical spheres, and I am inclined to agree. I hope Enyeama joins the Odegbamis, Keshis, Eguavoens, Siasias, Amokachis, Okochas, Shorunmus and Olisehs who are all doing their best to make the game greater, complexes aside. He has a lot to offer. I, however, hope that this future involvement doesn’t cut short the playing career of Kelechi Iheanacho, or any of the other promising young Eagles coming into the team just as he leaves. To end on another cliche, the cycle must be broken. Okocha inherited the armband from Oliseh, amid suggestions that he undermined Oliseh’s mutiny at the Nations’ Cup, and presented himself to the NFA brass as a more cooperative dressing room leader.